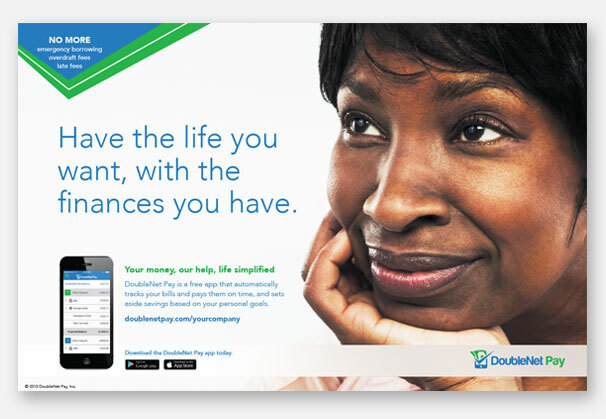 New financial wellness player DoubleNet Pay makes a big splash with a suite of prelaunch marketing materials designed to drive engagement. DoubleNet Pay is the brainchild of three Georgia natives who believe that all consumers should have a clear understanding of their disposable income. The startup, which launched in 2014 with a $50,000 grant, uses a simple mobile app to help employees track their bills and due dates, then seamlessly schedule bill payments and set aside savings around their paycheck cycles. The result is a paycheck that matches the amount left to spend that month without headaches or guesswork. 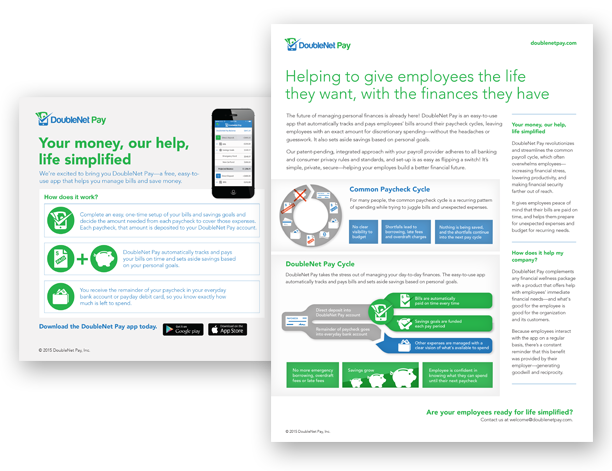 We were delighted to support DoubleNet Pay’s product launch with a strategic eye toward employee engagement. We clarified the company’s value proposition and brand promise, and created a suite of prelaunch marketing materials—all in time for its debut on the ADP Marketplace. We helped DoubleNet Pay make a market splash by thoughtfully pairing content, images and graphics to uniquely engage the company’s diverse target groups. Although the messages were distinct, DNP’s core mission to give employees “the life they want with the finances they have” clearly came through for all audiences. 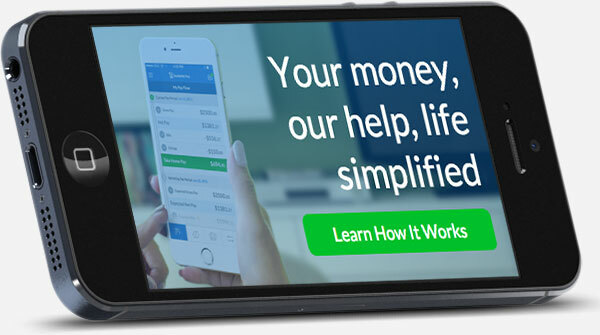 Ninety-five percent of Americans can’t afford a financial advisor, but we believe everyone should understand how to have the life they want with the finances they have. It’s great to partner with a firm like Benz that believes just as strongly in effectively promoting tools to help employees save toward long-term security. We created messaging for employers and brokers—two audiences that would need to understand the business value of helping employees better manage money. Campaign components were specifically designed to attract specific groups that could benefit from DoubleNet Pay’s product—employers, brokers and employees—with thoughtfully crafted messages to appeal to each. Our work was driven by a deep understanding of DNP’s target employee audience. That understanding was captured by the succinct, aspirational tagline we created: Your money, our help, life simplified. DoubleNet Pay’s creators have been hailed as innovators in workplace financial wellness, with featured mentions from Wall Street Journal Market Watch, Yahoo Finance and the Society for Human Resource Management. DNP founder Brian Cosgray has presented about the company’s leading-edge product at industry events, including the Human Resource Executive Health & Benefits Leadership Conference and Finovate, which highlights the best innovations in financial technology.